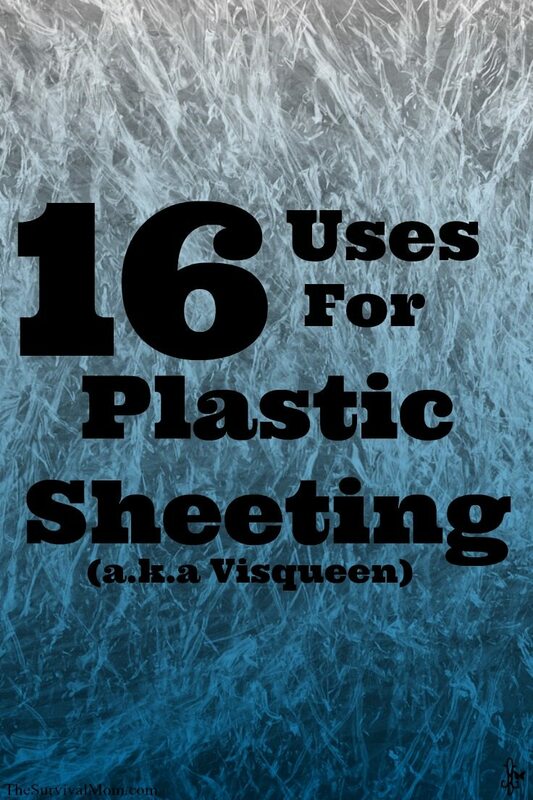 Keeping up with the recent theme of exploring common objects and finding preparedness uses for them, this month’s article looks at some prepper uses for plastic sheeting, sometimes called Visqueen. While the uses for plastic sheeting is seemingly endless, we’re going to focus on those that serve us in our preparedness plans. Plastic sheeting is a polyethylene film, available in clear and black, and in various thicknesses. It’s available just about anywhere selling hardware, in both black and clear, and in several thicknesses. 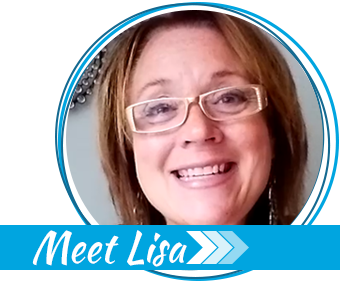 Some folks like to use transparent duct tape to piece together visqueen. Thickness is usually rated in mils, which equals one-thousandth of an inch, or 0.001 inch. Three to six mils is fairly common, though this may vary at your local stores. In general, you can consider 4 mil and below as “thin” and 6 mil and above as “thick,” though that is relatively speaking. Because this sheeting is available in many combinations of colors, widths, lengths and thicknesses, knowing what you may want to do with it can help determine what size to get. Less cutting means less potential for waste, and easier for reuse. 1 Roll thick, Clear (6 mil), 10 ft. x 25 ft.
1 Roll thin, Clear (3.5 mil), 10 ft. x 25 ft.
1 Roll thick, Black (6 mil), 10 ft. x 25 ft.
1 Roll thin, Black (3.5 mil), 10 ft. x 25 ft. These four rolls will give you a good assortment of plastic sheeting and they should be available at a store near you or through Amazon. Looking at the rolls of plastic sheeting in the store, the packages may look nearly identical, so pay close attention to the description on the actual packaging. One important aspect to consider is width. Common sizes are 10 ft. x 25 ft. and 20 ft. x 25 ft., though it is available in many other sizes. It is easy to cut, so err on the side of bigger if you’re not sure what size you will need. It’s important to keep the width in mind when you go to use the plastic sheeting, as you won’t unfold it until you have cut it to the desired length. When rolled, it’s only about 16 inches high, but unfolds to the width listed on the package. This makes for an easy to carry roll, but forces you to know how much you need before you make any cuts. It’s not listed as food grade, but during a survival scenario it’s about staying alive and improving conditions. Worrying about whether the plastic sheeting is rated as food grade when your family is dying of thirst is foolhardy. Remember, we’re talking about expedient uses, not long-term applications. While the uses are near infinite, here are some for expedient purposes with regards to preparedness. Visqueen is not a great substitute for a tarp or ground sheet, but can serve in that role. A couple of rolls of sheeting can make a quick expedient shelter for a large number of people or equipment. Not as good as a heavy duty tarp or an actual tent, but much better than having nothing for protection against the elements of wind and precipitation. One issue is securing the visqueen in place, as the sheets have no grommets or stake loops. If you pack tarp clips with your plastic sheeting, most of these will work well for providing tie-down locations. Rocks usually work well for keeping ground sheets in place. You can easily pound a stake through the sheeting, but this may lead to tearing, which is why setting rocks on them is better. Make sure to test your tarp clips with the thickness of sheeting you have to confirm it provides a secure hold. Likewise, you can use this sheeting to cover your expedient water (or other) supplies to help keep them free from debris. As when using as a tarp, you need to find a way to secure the sheeting so that it doesn’t blow away with the first wind. Similarly, you can use in place of a tarp to keep wood that is being seasoned dry. If you have a kiddie pool or other large container that has a leak, you can line it with plastic sheeting and make it waterproof again. This container can then be used for water storage, fish pool, or any number of uses. For this use, thicker sheeting will be more resistant to punctures. If you have two containers that are leaking and nest together, you can sandwich the sheeting in between them. This stops the leak while better managing the flimsiness of the plastic sheet. Though it may seem like we already covered this above, collecting rain is something different. The best way to collect rain is with a large surface area. This allows you to collect as much as possible. While rainwater collected from rooftops is good for the garden, with all the bird feces and other contaminants present in roof runoff, it’s not too good for drinking. At least, not without a lot of processing to make the water safe to drink. Suspending plastic sheeting horizontally, with one corner lower than the others, will allow you to collect rainwater efficiently. The hard part (hopefully) will be having enough container space to store all the water you’re collecting. 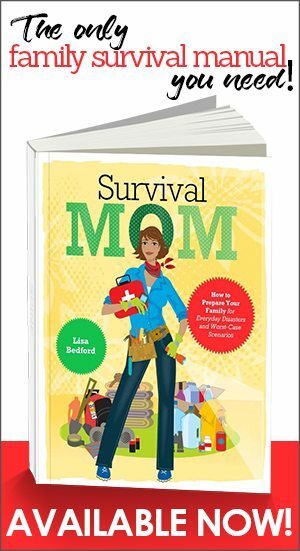 The Survival Mom has 5 55 gallon drums to collect and hold water — 1 per person and an extra barrel for pets and watering a few food-producing plants. Be sure to stock up on bleach, perhaps calcium hypochlorite, and other supplies and equipment to purify any rainwater collected. This common, everyday use of visqueen can also be important during a survival scenario such as a winter storm power outage or even a furnace breaking down. If you’re relying on an alternative heating source, perhaps a kerosene heater or small fireplace, you’ll want to make that room as small as possible and block drafts from doors and windows. In addition to creating expedient shelter, it can also be used to make temporary repairs on your home. Roofs and windows broken from storm damage let the rainwater in, adding to the overall damage. Quickly tacking up some plastic sheeting can limit the total damage to your home. plastic sheeting readily available from home improvement stores. insulators and will help anchor the visqueen. Privacy is important to us, particularly when we’re naked in the shower. Your whiz-bang expedient shower will make more of an impression if it also includes an expedient shower curtain. Clear thick plastic sheeting is usually cloudy enough to occlude seeing through it, but there’s always black for those that demand complete opaqueness. Your neighbors might appreciate it, too! Speaking of complete opaqueness, black plastic sheeting is a great, cheap solution for blacking out your windows. 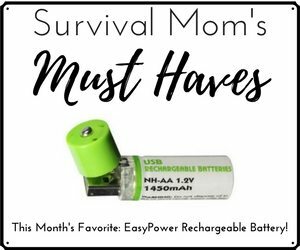 When the power is out in the entire area, the last thing you want to is advertise you have light, whether from emergency candles, lanterns, or solar-battery-powered lighting. The less people know about your preparedness activities, the better, and this includes during and after a critical event, even a worst case scenario as depicted in One Second After. The article 15 Preparedness Uses for Kiddie Pools suggested using two nested pools for a large solar distiller (or a pool with an inner catch container). This is the plastic you use to create that. Either the clear or black plastic would work well for this. During a pandemic, from influenza to Ebola, you may need to create a safe room in order to protect you and your family. Additionally, if you have people show up at your house after the pandemic has taken hold in your area, you will need to isolate them until the incubation period is over. The only way to do this effectively is with plastic sheeting. Please note, safe room operations require more than just a roll of plastic, but it’s an important component. Making an safe or isolated room with plastic sheeting typically requires you to overlap the layers to create an entrance portal. However, there is a product that makes creating a door in plastic sheeting, or even tarps, much easier. It’s called a Tarp Zipper Door. The Homax brand is available at most hardware stores. To use, simply apply with the adhesive backing, unzip, and cut a slit where the zipper is open. Instant door! You might also want to buy a roll or two of transparent duct tape in case you need to attach one panel to the other. Even so, extending the growing season by keeping the plants warmer overnight and exposing them to sunlight during the day has definite advantages. You could even use the tarp zipper door trick from above and create roll-up sides for your expedient greenhouse. Like most things, there are quality differences among the brands of sheeting. Some brands are imported. The biggest quality issue is true thickness of the sheeting. When quality matters, my favorite consumer brand is Warp Brothers of Chicago. Don’t store sheeting in a high temperature environment, like the attic of your utility shed. It will become brittle and split into lots of pieces. It will take 2 or 3 years for this to happen, but long-term heat will do this. The splitting will occur first along the folds. Most inexpensive tarps are also made of polyethylene. The difference is that the polyethylene in a tarp has nylon reinforcing strips imbedded in it. 10 mil is about the thickest you will commonly find, but higher mils are available. If an unused roll of sheeting gets submerged in water, it will mildew like crazy. Unroll it and dry it out if this happens. If you ever want to make something with sheeting, remember that a sharp corner or a dull point is your enemy. It will probably tear there first. Use foam pipe insulation in corners. Cover a point with anything smooth and as large as you can. –	Plastic Capped Roofing Nails. The large cap helps prevent tearing. –	Furring strips. This prevents tearing Dimensions are not critical. –	#8 and #16 duplex head nails. #8 for 1” wood, and #16 for 2”. To make good seals over interior windows or doors with sheeting, use small furring strips. Locate the studs, and drive the nail right through the sheetrock and into the stud. If you use a furring strip that is less than 1” thick, do not use a nail size of #8 or larger or you will split the wood. To create an airtight seal, run a bead of caulk around the window or door before installing the sheeting. The furring strip will spread the caulk when it is nailed, creating a consistent seal. A great alternative to using caulk is a thin, but wide foam weatherstrip. The kind used to seal between pickup truck caps and the bed of the truck is an excellent size and will usually come off the wall easily. To quickly cover an interior door or window, first cut the sheeting to the approximate size. Be generous with the cutting. Starting at the top, roll a furring strip at least one full turn with the sheeting and nail the strip to the wall. Now it will hang the sheet in position for you as you complete the rest of the installation. I have worked in the hardware business for decades, and I have never understood why everyone does not know what duplex head nails are. They have a thousand uses. Keep some around. As far as having tarp clips for securing down your poly sheeting, who needs them? Get a small smooth stone for each corner and wrap the corner around the stone (sorta like a drawstring bag) then tie up the ‘mouth’ of the bag. If you leave the cord/rope/string long enough you will have enough to run to a stake or a deadman! We are covering doors with Visqueen and then decorating the doors for the holidays. Any suggestions as to what to use to adhere foamcore or posterboard to Visqueen that is hung vertically? HELP!!!! 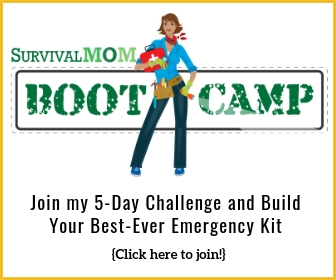 These are some really great tips for any prepper! I had never considered how valuable it can be to block of spaces when you have limited heat. My fireplace is in my living room, which is fairly small, but it has two large doorways on one side, so it would be a huge benefit to keep some plastic sheets to cover those with. That way I won’t lose precious heat if I need to. Thanks so much for writing! a gas heater will do the same. My food storage is in a combination of food storage buckets, some just in mylar and a small amount just vacuum sealed (for use within a year). I would like to cover the shelf with visqueen to reduce dust gathering as well as protection from overhead water pipe possible leakage. I am concerned about off gassing. Is this a valid concern or will the mylar provide adequate protection from that?